The ultimate ear training app! 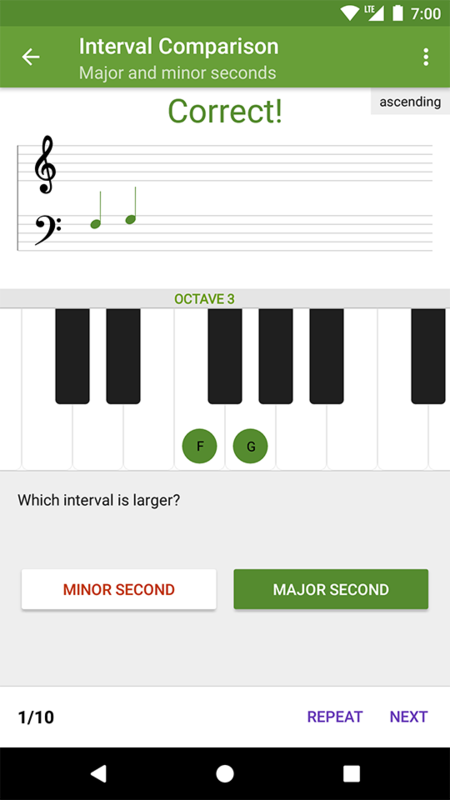 A music school in your pocket: solfège, ear training, singing, rhythm training exercises. Enjoy a large variety of fun and challenging exercises. Learning has never been so engaging. Praised for a clear and easy to use design. We're always open to your suggestions on how to improve the application and keep active development of new features. A wide variety of exercises suitable for musicians of all levels and backgrounds. Both amateurs and professionals will discover something to challenge themselves. 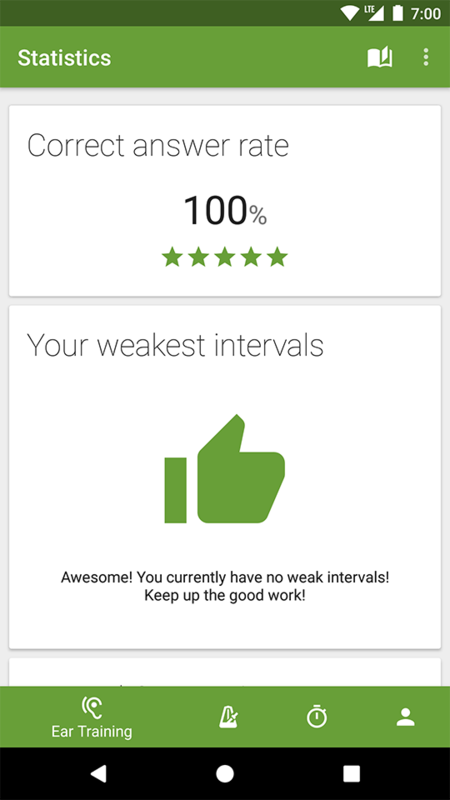 Learn to compare, identify and read intervals. Absolute essentials of music education. 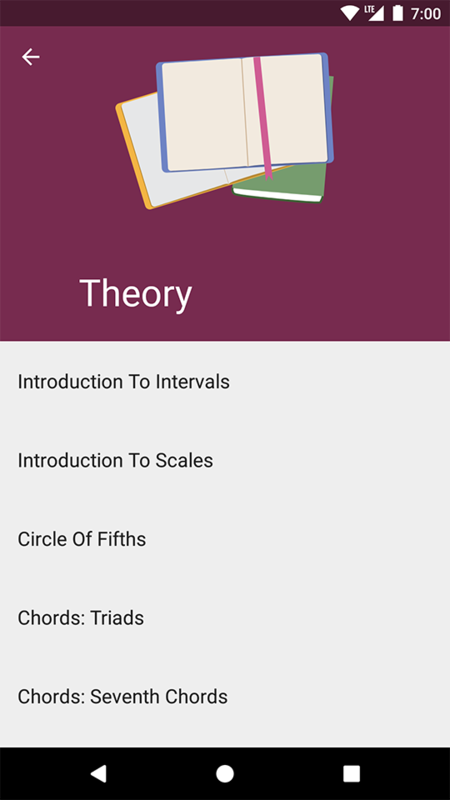 Learn to identify scales by their sound and from how they look on a music staff or instrument. Identification, inversion, reading, progressions: exercises from basics to advanced. Variety of exercises and drills designed to help you improve your singing skills. 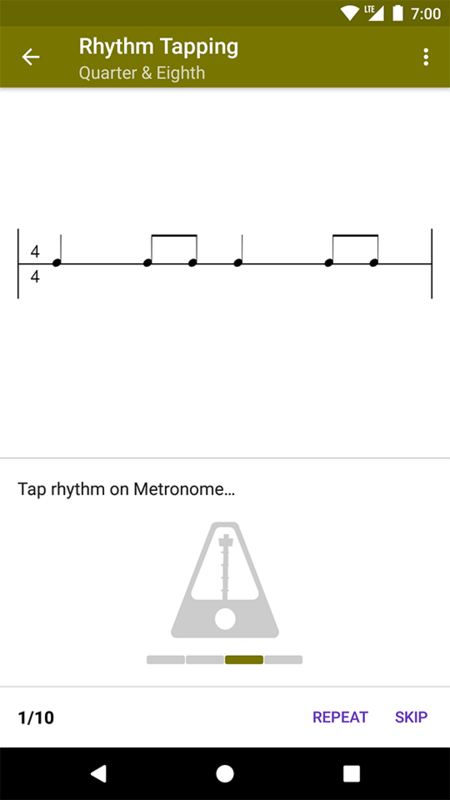 Exercises for improving your sense of rhythm: rhythm reading, tapping and imitation. 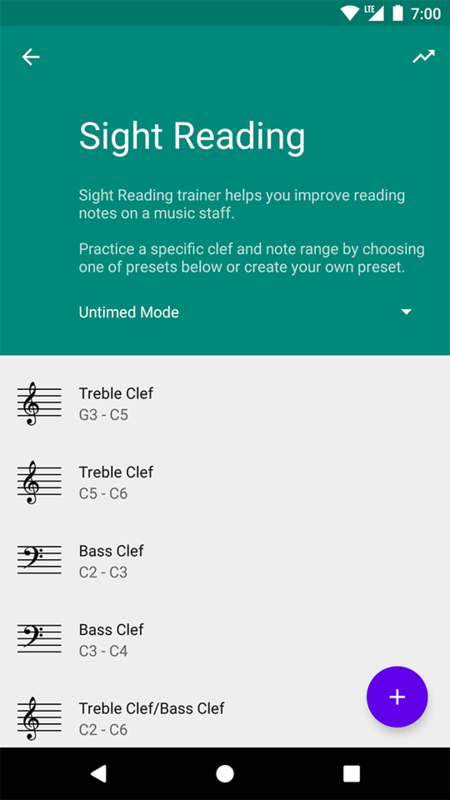 Learn to effortlessly recognize notes on a music staff. A skill essential for every musician. A comprehensive set of articles that covers all necessary topics to get you started with Perfect Ear. These are just the most recent of thousands of excellent reviews on the Play Store. See what others have to say about Perfect Ear. Best music app I've come across. 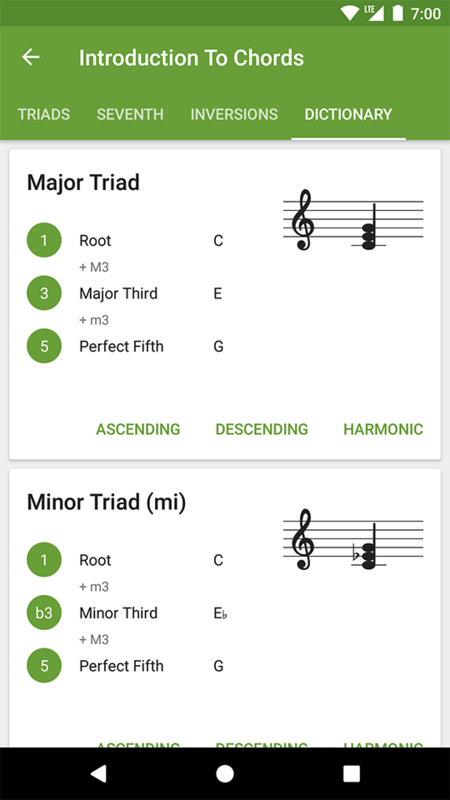 This app has helped me with my sight reading, timing, and note identification. Incredibly useful for the budding musician. 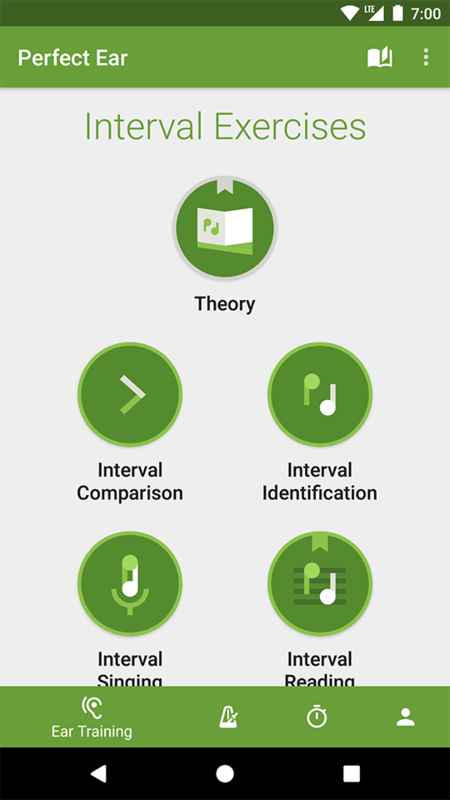 This is the best app on ear training I have come across so far. Easy to use interface and a lot of material to study from. Some of the contents are locked to paid user, but there are enough content that are free for tryout. There is no annoying reminders every 5 min. Edit: well worth the money. I wish one day it can extend to violin as well. I have not tried all the functions so far, but here is my opinion as a full time musician with 25 years of experience, who has always struggled with the challenges of being self taught, particularly with regard to ear training. This app is very comprehensive and well thought out. It is far superior to the ear training software that was available 10 years ago. Full marks for pedagogy, interface design and functionality. Perhaps the only thing missing is a licks and phrases recognition section. you get a lot for free. 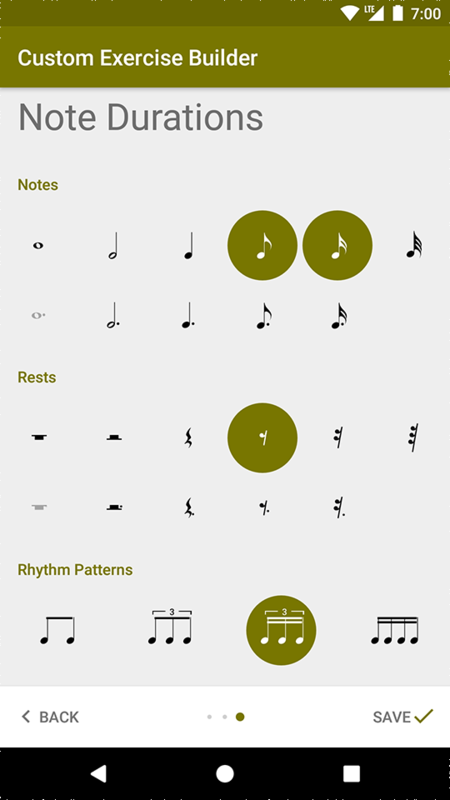 the exercises are simple yet very helpful in getting the user to understand the elements of music in different forms. sometimes you start visual, sometimes you start auditory. this is important because if you practice both then you're experienced in both which means your production capability is higher. besides practicing music helps with other areas of life anyway. Download free app from Google Play Store or App Store now and become a better musician!